We invite everyone to visit, explore and browse through our fine archive and collection of marine books, our art gallery, ship models and displays. 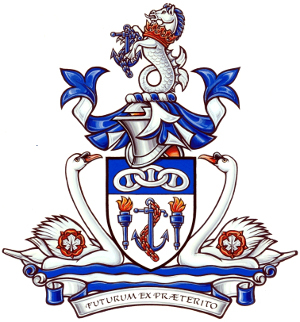 We hold very extensive collections on yachting, the mercantile marine, navies, aeronautics, military subjects, the Arctic and First Nations, biographies, and local and Great Lakes history at the Naval Marine Archive The Canadian Collection™. 12th April A retrospective of the works of Hamish Berchem, CSMA. 3rd May Opening of the 36th Annual Exhibition of the Canadian Society of Marine Artists. 15th June Book signing Ready to come about by Sue Williams. Our ships database is now online; developed by us in-house to assist researchers, it contains mostly Canadian ships, but also many ships that were foreign built but traded regularly with Canada, or were sold to Canadian owners. Where available, further details of owners, masters, builders and voyages are also included. The database has been compiled from multiple sources – including Tom Tumilty's shipwreck research and the Canadian Heritage Information Network's previous heritage list. We wish to thank all contributors, and look forward to improving and expanding it. Specialized books are available for sale for your enjoyment. Featuring: yachting, navy, modelling, biography, aviation, military, art, novels and Canadiana. New selections added regularly. Join us on Facebook or on Instagram. 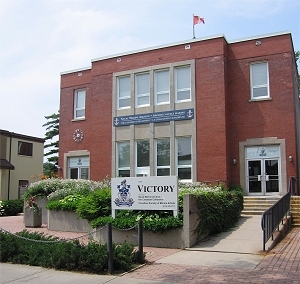 The Victory, 205 Main Street, Picton. Take a virtual tour with this slideshow of the interior or visit our Victory gardens. While most of our books are in the reference library, we do have many duplicates that we make available for sale. These include some fairly rare titles such as a 1st edition of F.W. Wallace's Record of Canadian Shipping, 1786 - 1920 and several volumes in the Anatomy of the Ship series, down to very affordable, fun reading – such as Hornblower's adventures – at less than a dollar each. Please browse our used books. Thank you for your continuing support. Any financial donations will receive a charitable donation receipt for taxation purposes. Please join us in celebrating and preserving our history, and support us with any help you are able to give.